There is no magic formula for the perfect prenatal diet. The prenatal period is unique because you provide nourishment for you and your growing baby. This does not mean eating enough for two! Instead, it means eating sensibly and making healthy choices. While all nutrients play an important role in your baby’s development, some are slightly more important than others. The following are some of the nutrition essentials that all expectant mothers should be aware of. Most pregnant women require around 800mcg of folate daily, especially those who are diabetic or have a personal/family history of neural tube defects. Folic acid supplementation has been shown to decrease the risk of preterm delivery1. 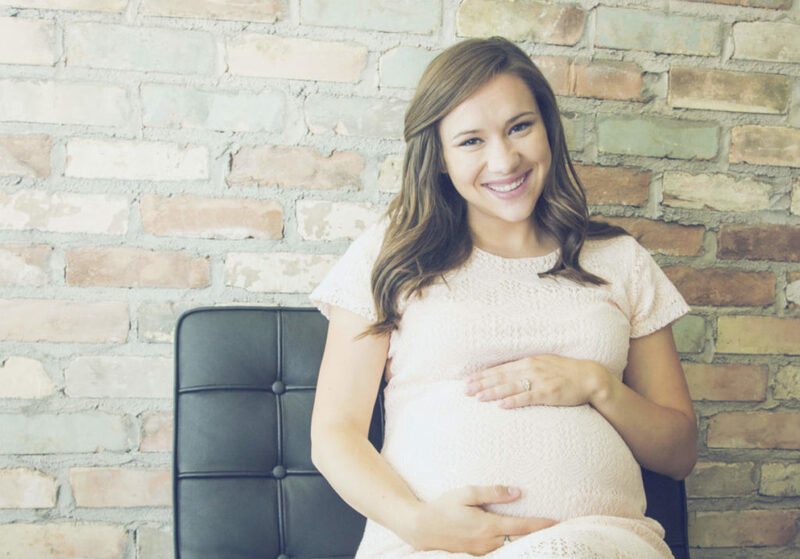 This vitamin is so important to your baby’s growth that most doctors and the American Congress of Obstetricians and Gynecologists (ACOG) recommend that women should start prenatal supplements that contain folate up to 3 months before pregnancy. At the least, folate should be started as soon as you find out you are pregnant. breakfast cereals fortified with calcium1,2. However, your diet alone is not always enough. If you are taking a prenatal or looking for a calcium supplement, make sure it contains the needed amount. Many prenatal supplements only contain 250-350mg of calcium. The amount of calcium you receive is crucial as low levels of calcium have been linked to preeclampsia (a dangerous condition caused by excessively high blood pressure during pregnancy3). It is a little-known fact that about 40-60% of the entire U.S. population is vitamin D deficient4. Vitamin D is not readily available in our diets as very few foods contain this nutrient. Some foods that include vitamin D are egg yolks, salmon, and cod liver oil. The main way the body gets vitamin D is from sunlight. So if you live in colder or temperate areas, you may be vitamin D deficient. Much like calcium, vitamin D promotes bone strength. Research shows that it plays a vital role in immune function and healthy cell division as well4. Because of this role, deficiencies in vitamin D during pregnancy are much unwanted. Studies have also shown that vitamin D deficiency is also related to preeclampsia4. Good sources of iron are lean red meat, poultry, fish, iron-fortified breakfast cereals, beans, and vegetables. Vegetarians and vegans are usually more susceptible to iron deficiency and should consult their doctor to make sure any supplements they take will have enough iron to meet their needs. Most people are not familiar with zinc’s role during pregnancy. Zinc plays a key role in the growth and development of your baby and in milk production during lactation. Folic acid usually gets the attention because it helps prevent birth defects, but zinc plays an equally important role. In fact, your need for zinc increases during pregnancy. Your growing baby is so reliant upon this mineral for development. Yet, an estimated 80% of women worldwide don’t have adequate zinc levels9,10. Such a deficiency can increase the risks of premature birth11. Good sources of zinc are meat, dried beans, peas, and lentils. In addition to a fulfilling diet, look into a prenatal supplement that provides the zinc you need! Even women who eat a healthy diet can miss out on key nutrients essential during pregnancy. For this reason, prenatal supplements are recommended to every pregnant woman—ideally even starting 2-3 months before conception. you should consult your healthcare providers to make sure you meet all your dietary requirements. A healthy diet and prenatal supplementation can give you all the nutrients you need to feel great, increase your energy, and support a healthy pregnancy and baby. 3) Imdad A., Bhutta ZA. E effects of calcium supplementation during pregnancy on maternal, fetal and birth outcomes. Pediatric Perinatal Epidemiology. 2012 Jul;26 Suppl 1:138 – 52. 5) World Health Organization. The Prevalence of Anaemia in Women: a Tabulation of Available Information. 2nd Edition. Geneva: World Health Organization, 1992. 6) World Health Organization. Global Prevalence of Anaemia in 2011. Geneva: World Health Organization, 2015. 7) Burke R, Leon J, Suchdev P. Identification, prevention and treatment of iron deficiency during the first 1000 days. Nutrients 2014;6(10):4093-4114. 8) International Nutritional Anemia Consultative Group (INACG). Why is iron important and what to do about it: a new perspective. Report of the 2011 INACG Symposium; 2001 February 15-16: Hanoi, Vietnam. 2002:1-50. 9) Alaimo K, et al. Dietary intake of vitamins, minerals and ber of persons ages 2 months and over in the United States: Third National Health and Nutritional Examination Survey, phase 1, 1988-1991. Atlanta: Centers for Disease Control and Prevention, 1994. 11) Cha ee BW, King JC. E ect of zinc supplementation on pregnancy and infant outcomes: a systematic review. Paediatr Perinat Epidemilo 2012;26(Suppl 1):118-137.